Our site is all about exposing amazing, hidden places in Northampton for the modern gent and we have yet to find a store that more aptly fits this description than 32 the Guild. Nestled inconspicuously just past the Shoe Museum on Guildhall Road, the store is a true haven for any stylish gent in the somewhat depleted and desolate shopping landscape that is Northampton. 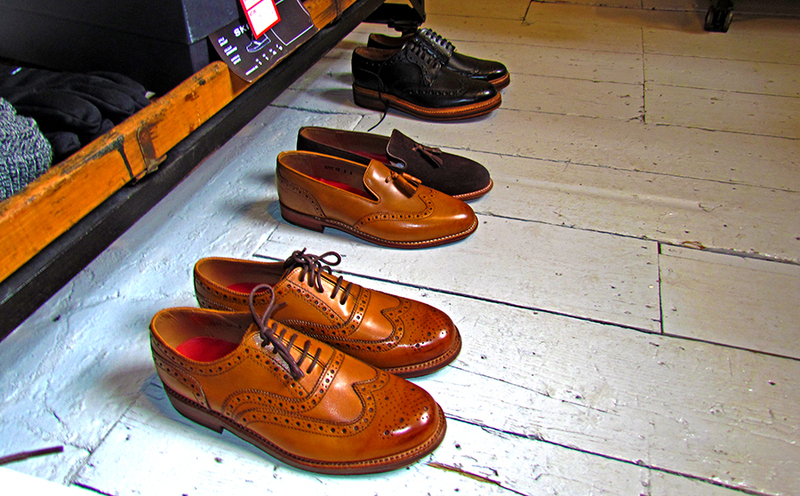 The small but perfectly formed shop sells a variety of carefully selected fashion and lifestyle products, from some of the finest examples of brogues we have come across in the town to luxury men’s fragrances found on the shelves of Liberty. 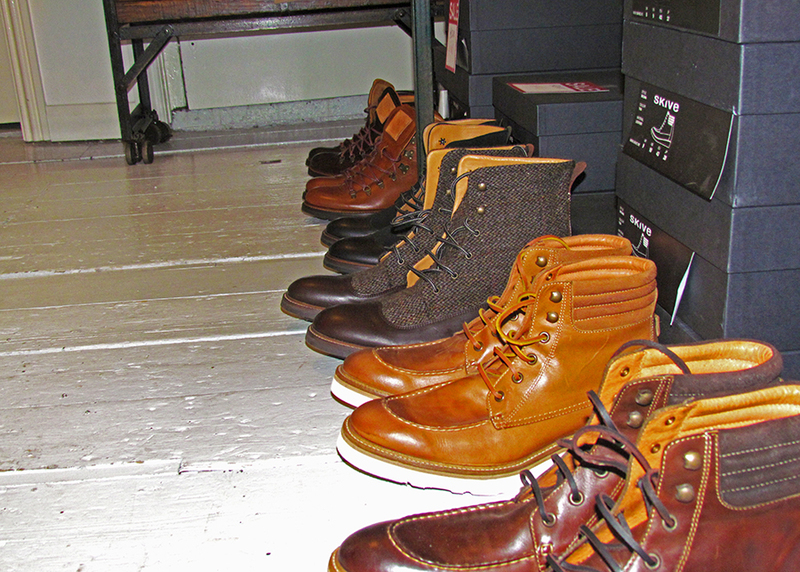 The store was created by husband and wife Mark and Zoie Walker, who are both also footwear designers. The sartorially gifted pair studied footwear design at university before going on to work with some of the biggest brands in the fashion and retail world. Zoie worked for Ghost in London and designed footwear for Jasper Conran and John Rocha, whilst Mark has a design and development company and works with brands including Paul Smith and Grenson. Furthermore, both Mark’s father and grandfather were involved in the Northampton footwear industry. With such impressive credentials, it is safe to say the pair knows what they are doing when it comes to style. Having worked in London, the couple wanted to have a stylish space to showcase great products and design and fortunately for us decided to continue in Mark’s family tradition and take advantage of the rich shoe heritage found in Northampton. Located in the heart of cultural quarter and opposite the Derngate theatre, the rather humble and classic black and gold exterior hides an extremely cool and modern space inside. Zoie explained how the pair love the sleek, minimal design found in Scandinavian spaces and that this heavily influenced the look and feel of the shop. 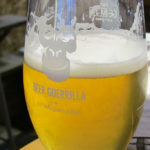 The idea behind 32 the Guild is to provide a relaxed, intimate shopping experience and it is clear from the moment we walked in that every aspect of the store had been created in order to achieve this. 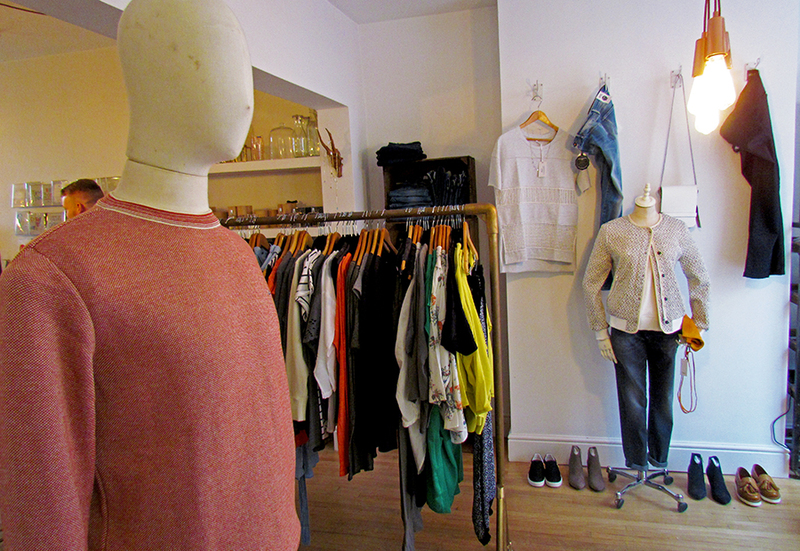 Rather than rails and rails of clothes and shelves bulging with stock, the shop has a select number of high quality, interesting pieces for customers to choose from and behind the counter is a coffee machine where the store serves freshly ground coffee. 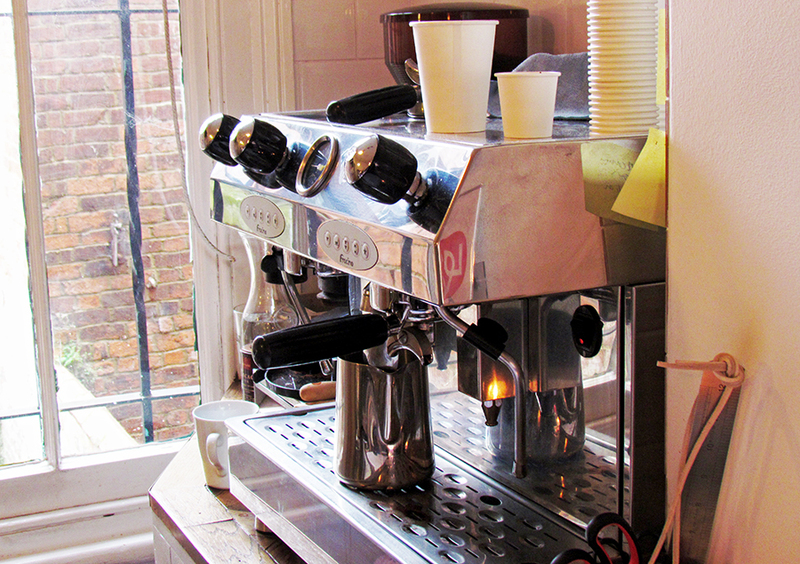 With the wonderful aroma of fresh coffee in the air, 32 the Guild offers a completely different shopping environment to that found on the high street. 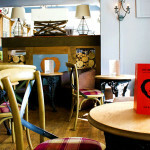 What makes 32 the Guild truly special is not just the Scandinavian-esque interior or wonderful coffee, but rather the level of care and service, as Zoie explains “that sets us apart from the high street, being able to go the extra mile and offer a very personal service.” Welcoming, attentive and knowledgeable, she makes customers feel immediately at ease whilst browsing and goes out of her way to make sure that customers are completely satisfied. Whilst visiting the store, one gent came in requiring shoes for his wedding and we watched as Zoie spent time with the gentleman to find the specific shoe he was desperately looking for, even going as far as being willing to suggest other places where he might be able to find his size – in the end the store ordered in specifically from the manufacturer the shoe for the man. It is this type of personal service that really differentiates the store. 32 the Guild is also open for appointments on Monday’s and Tuesday’s, giving customers the opportunity to receive a real one on one service; ideal for gents looking for some advice and tips for a wardrobe update. The selection in the store is a carefully sourced collection of brilliant and beautiful products, with a range that focuses on high quality. The pair hand pick each product that graces the shelves to ensure that they fulfil their goal of providing beautiful things for every budget. After paying a visit, we found ourselves quickly grabbing at shirts, shoes and all manner of items like kids in an extremely stylish candy store. What took us back was the quality of the each piece of clothing on their shelves, especially the denims on offer, which was apparent just from the touch of the materials. What we also enjoyed was seeing brands that we were unfamiliar with. As gents, we like to look stylish and unique, so any opportunity to embrace the different, obscure and new is always welcomed. Some of the stand out pieces available included beautiful leather gloves from Hestra, Sweden; incredible tan brogues from local shoemakers Grenson, Rushden; wonderful jackets from Bleu de Paname, Paris and some brilliant bags by Sandqvist, Sweden. We could continue this all day, because simply put the pieces we saw in 32 the Guild could be seen very easily in our wardrobe. The products in the store reinforce Mark and Zoie’s background in designing for luxury brands, showing how much the pair value craftsmanship above all else. 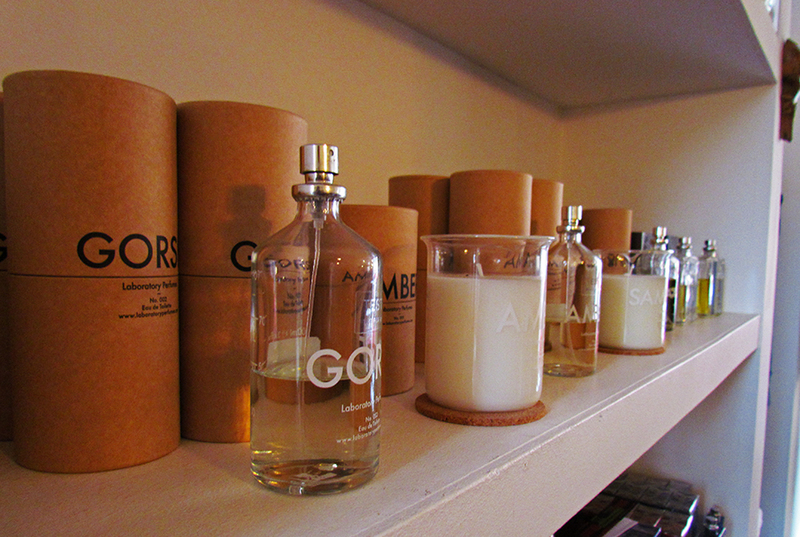 The store also dabbles in a range of homeware pieces and fragrances that are found on the shelves in Liberty. One of particular favourites was the rather spicy and fresh Laboratory Perfume’s Samphire Eau de Toilette, something we would highly recommend with the spring months around the corner. The concept of the store is really quite simple, great products and great service. What makes it special is the implementation. 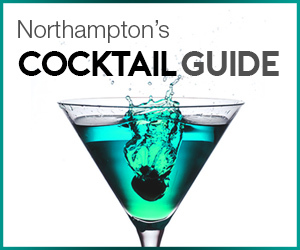 Mark and Zoie have managed to achieve something completely unique and charming in Northampton that speaks to any style orientated gent out there. As mentioned, the clean, contemporary setting could trick you into thinking you have just walked into a bohemian shop in Copenhagen, whilst the level of customer service makes you feel immediately at home. It is this attention to detail and level of attentiveness that makes a shopping experience enjoyable, where rather than a bland, monotonous ‘can I help you?’ from a high street sales assistant that would love nothing more than for the day to be over, you find someone who is genuinely interested in your likes, wants, needs and is passionate about what they do. If you are in the neighbourhood gents, we would highly recommend you pop in, even if it is just to enjoy a coffee and say hi. 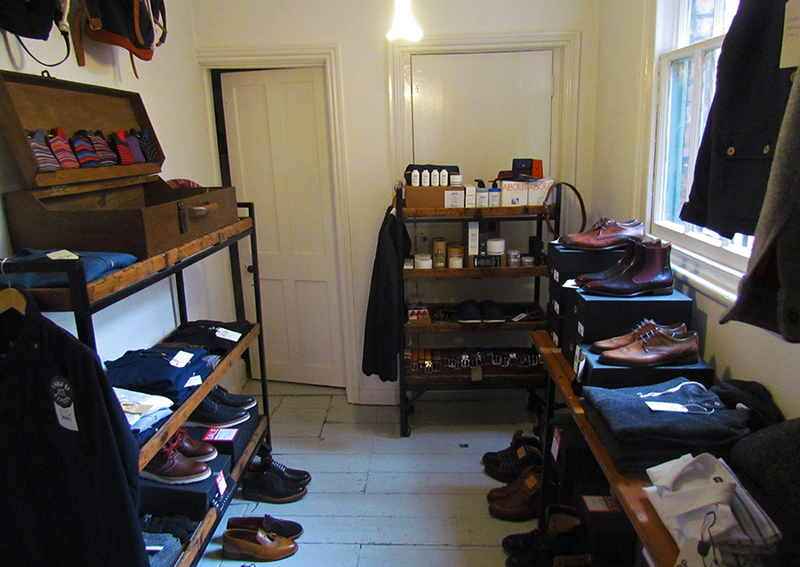 Conversely, 32 the Guild also sells online for gents interested in finding out more about their wares. A shining and much needed gem for the style conscious men in Northampton.